I love a good question. I loved it especially when the questions were posed by my students. I always told my students that no question is silly, stupid, or a waste of time. We had a question board with the headline “QUESTIONING MAY BE THE ANSWER”. I had several pockets on the board with various categories. For example one group was “absolutely must know”. Those were usually the most challenging questions. The students wanted to stump me at times. But I made it clear that there were questions I would have to research to give them an correct response and a responsible one at that. But I also told them that sometimes a question would bring lots of controversy. Some questions were very mindful as well. The questions were thoughtful and many times very profound. This is what I call mindful questioning. It is the question that was based on careful observation of something. It was the question that needed careful analysis and deep thought. My students knew that those questions would make me very proud. I would praise those students by giving them a certificate that proclaimed them as thinkers. That made them proud. I miss that activity very much. I try to propose a mindful question every day for my own mindful thinking experience. I learned recently that this type of exercise helps your brain stay sharp because the process helps to learn something new. Since I do not have a captive audience anymore I thought I might ask the readers of this blog to send me a mindful question. I will not promise to research every question myself but I hope that the questions I post will stimulate a conversation. 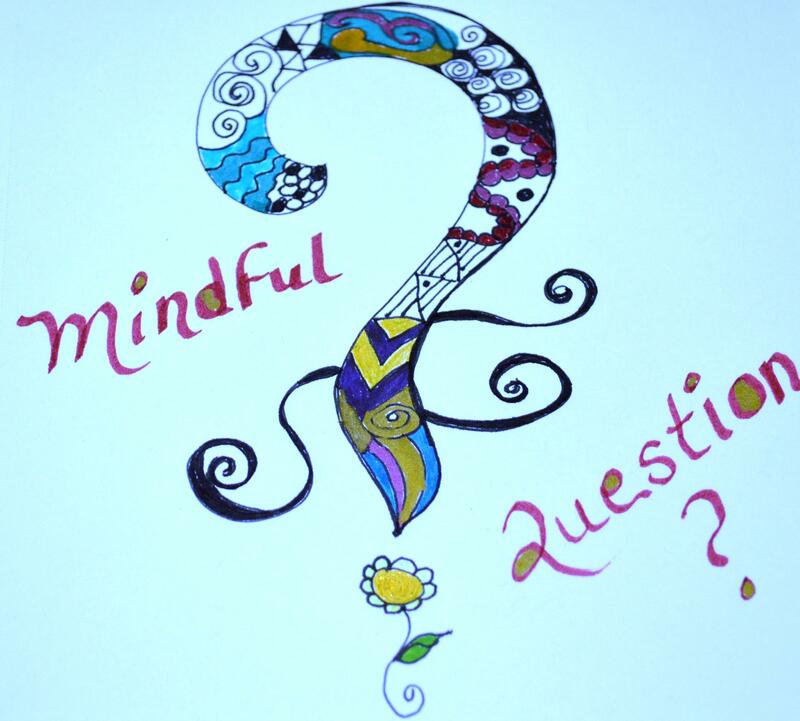 Do you have a mindful question? Please post your question in the comments section. How do we stop pulling ourselves into the past to remember when the memories are so good, even though we’re told to stay in the present? This is a dilemma of sorts, isn’t it? I think our memories are always a part of our present. The happenings that matter in our lives stay with us as “memories ” if you will. They help us to grow and appreciate life. I see it as looking at an old photograph. Some will make me giggle; some make me a little nostalgic or sad. But I am not going to rip up the photograph. I can still be in the present. Thanks for your mindful question. Anyone have any other thoughts?